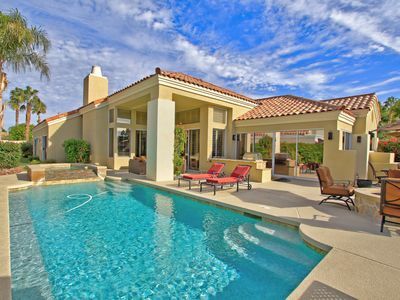 Escape to paradise with a stay at this newly remodeled 3-bedroom, 2 bathroom La Quinta vacation rental home, which sleeps 6! 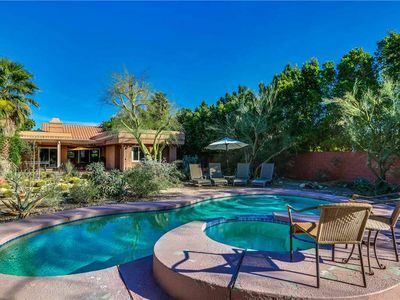 Featuring a private pool and a prime location on the 11th Fairway of Indian Springs Golf Club, this phenomenal home leaves nothing to be desired! 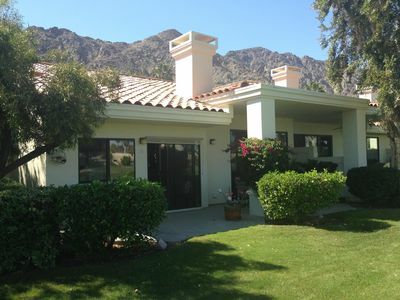 Your dream vacation awaits in this gorgeous La Quinta house! 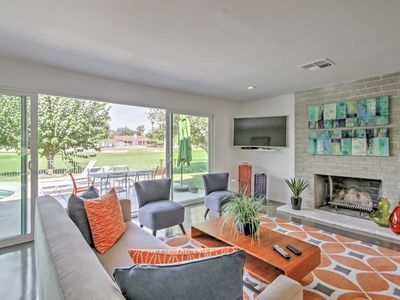 As featured on HGTV, this property was completely renovated with beautiful furnishings, modern fixtures, and pops of color throughout, giving the interior a mid-century feel. 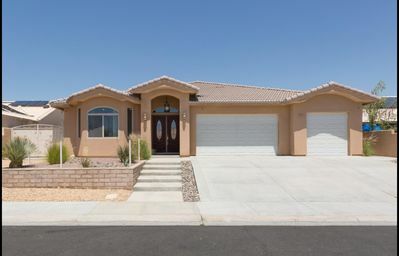 You'll find all the conveniences of home here as well, from central air conditioning and an in-unit washer/dryer to wireless internet access and cable TV for entertainment. 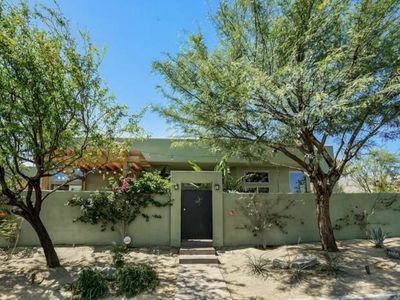 You'll love how seamlessly the pristine interior opens to gorgeous outdoor spaces. 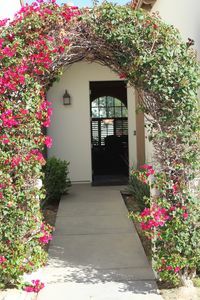 Step out large sliding glass doors to the beautifully maintained backyard, which faces the 11th fairway of the Indian Springs Golf Course. Look forward to spending leisurely vacation days lounging by the private swimming pool and spa. 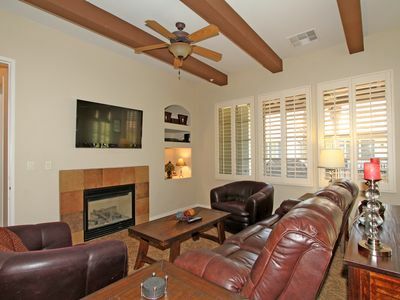 Fire up the gas grill for a family cookout, which you can enjoy on the expansive furnished patio. 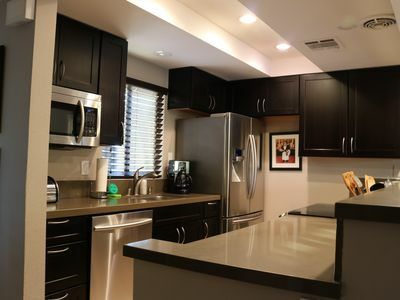 You may also choose to utilize the fully equipped kitchen, complete with stainless steel appliances and all the necessary cooking tools. 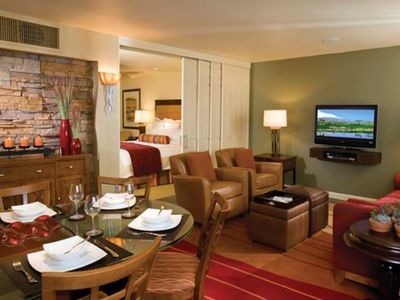 Later, unwind in the spacious living room, where you can watch your favorite movies on the flat-screen TV. Once you're ready to call it a night, retreat to one of the charming bedrooms, each offering plush sleeping arrangements and flat-screen TVs for added entertainment. 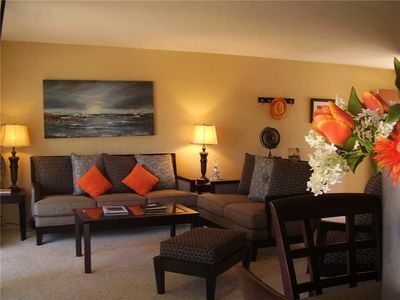 Another highlight of this outstanding rental is its prime location. 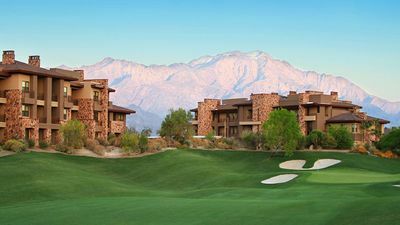 Situated directly on Indian Springs Golf Course, rated the top public golf course in the area, every caliber golfer will enjoy spending vacation days practicing their swing. You'll be 1 block from Jefferson, where you'll find all of the major venues. 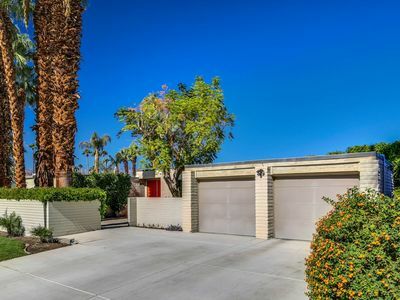 In addition, the house is within easy reach of shopping, restaurants, and entertainment in Palm Springs, Rancho Mirage, Bermuda Dunes and Palm Desert. 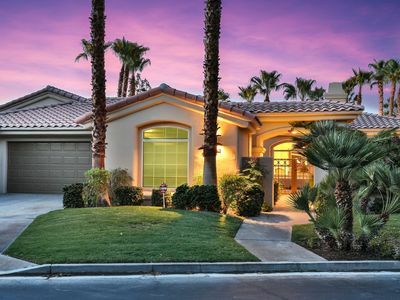 - Easy access to Palm Springs, Palm Desert, Rancho Mirage, Bermuda Dunes and Indian Wells! 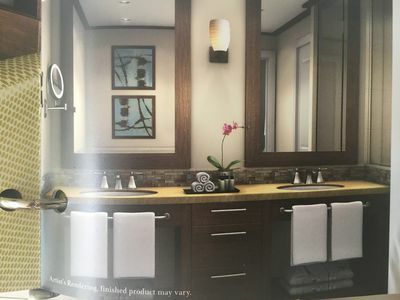 An Upstairs Two Bedroom Villa with Custom Furniture and a Private Balcony! 3BR Upper Pool Villa @ Legacy Villas. Family-Friendly and Beautiful Mtn Views! 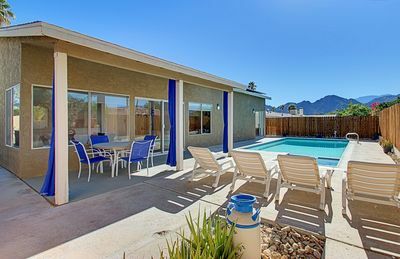 South facing backyard and pool area, with mountain views! 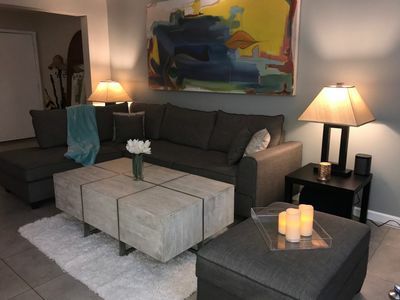 Modern and stylish Condo close to All!